For some reason, even though I chomp down burgers and steaks and chicken breasts and wings like there's no tomorrow, I don't wear leather. Perhaps it's not flammable enough for my highly synthetic tastes. 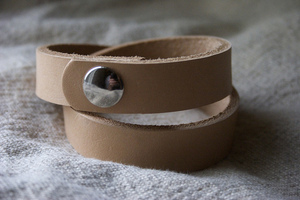 I do own one leather item though, and I justify it because it was for a good cause. Corter Leather is a one-man operation run by Eric Heins in his tiny bedroom studio in Boston, Massachusetts. 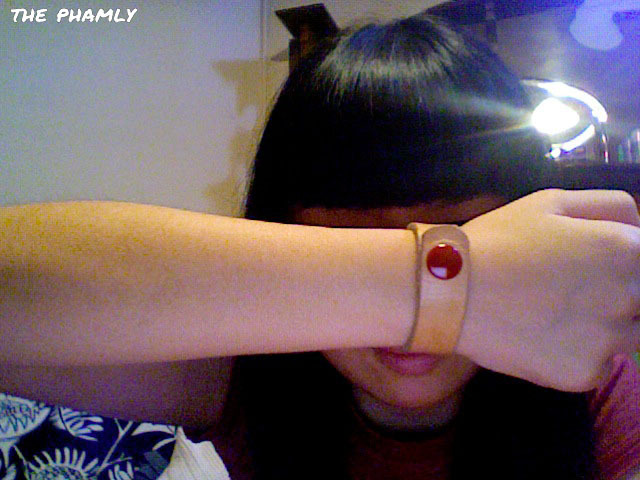 When the terrible Earthquakes hit Japan, Heins released a custom bracelet with a hand-painted red button symbolising the sun in the Japanese flag, and donated all proceeds to Japan. Talk about a labour of love. 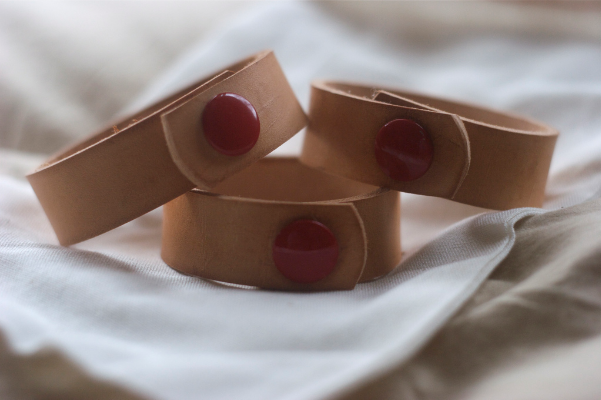 The Japan bracelets are no longer on sale (man's gotta pay rent, you know) but Heins takes custom orders so if you prefer a red button send him a request! Seeing as how he runs everything himself, give him a few days to reply to emails. Gotta respect a man who's good with his hands. how the hell is that ironic? you think the lives of japanese people are equivalent with those of cows?